Who says you can’t have too much news? "Mind if I have a look-see when you're done?" -- By Ray! The Grapevine is out of the bag, or at least this month’s print issue. 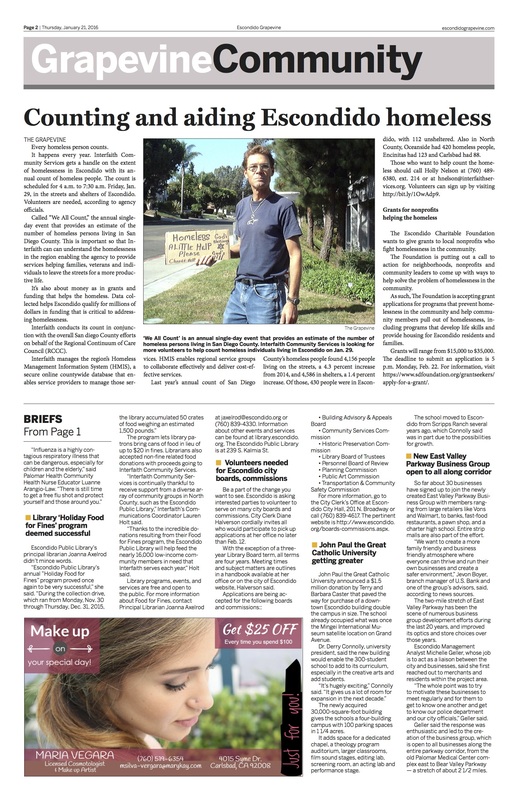 Even as you read this, San Dieguito Printer is cranking out the fourth edition of The Grapevine 16-page print newspaper. It will hit the streets at Grand Avenue and selected locations around Escondido, San Marcos and Valley Center on Friday. We welcome several new advertising partners including California Center for the Arts, Escondido, The Hair Lounge and Maria Vegera cosmetologist to go along with continuing partners Escondido Promenade, HQ Wigs TOO and others. Here’s a taste. 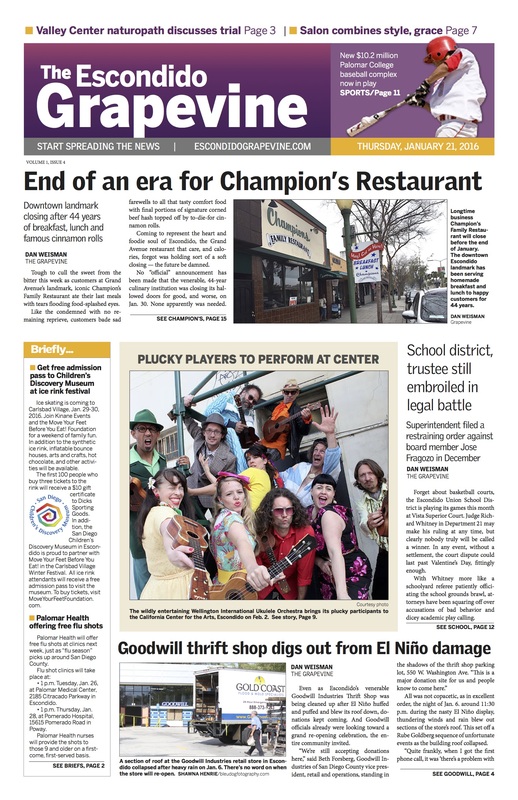 Look for the print edition and keep visiting our website. We had more than 16,000 page views Wednesday and have been averaging 3,000 daily page views, most of any hyperlocal media in San Diego County. The reason for this is the Grapevine difference. We’re published by journalists, not amateurs, advertising executives or real estate agents; the same journalists who brought you The North County Times before it was bought by Doug Manchester for real estate holdings, then folded, leaving Escondido et al with no local news coverage….Until now. Duncan Hunter lies. End of Story. 2 Comments on "Who says you can’t have too much news?" I just found the Grapevine and I love what you’re doing – real writers make a real difference (and this writer appreciates it!). You’ve got such a delightful, quirky sense of humor too, which is the special touch that makes this feel like the hyper-local publication it is. Because we’re all a little quirky here (that’s what I love most about this town!). I immediately recognized the high quality of the writing. I really appreciate literary skill as well as truth. Thank you!